Since we purchased our travel trailer, we have logged over 90 trips to 51 of 95 Texas State Parks, and have visited several National Parks and RV Campgrounds across 7 states! As long as I can remember, I have had the desire to spend time outdoors. Whether I was fishing, hiking, canoeing, or just spending time at the city park, I loved being outdoors. Being outside in the fresh air makes you feel alive and whole. Spending time away from work and away from the everyday routine of home life, gives you new perspective. Camping is perfect for this. There's nothing like waking up in the morning to the sounds of nature and to the smell of breakfast cooking in the great outdoors (that is, if someone else is doing the cooking :-). After breakfast, you might go for a hike through the woods. In the afternoon, you might take your canoe down to the lake for a little paddling and fishing. In the evening, after a fine meal cooked outdoors, you might relax by a campfire and reflect on the day's adventures. Suddenly, that thing that you were trying to figure out back at the office doesn't seem so difficult; problems at work don't seem so important; and life at home is more solid than ever. 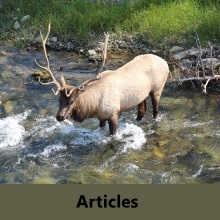 RV Trips - This page contains articles about some of the parks and places that we have visited while RVing or camping. RV Camping - This page provides general information about rv camping. It describes the various types and benefits of camping in an RV. Tent Camping - Camping in a tent is a great way to introduce yourself and your family to camping and the outdoors. There are many parks to choose from that have sites designed for tent camping. 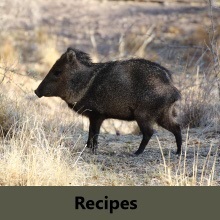 Camping Recipes - The camping recipes on this page are easy to cook and don't require many dishes, pots or pans. In fact, if you use paper plates and plastic ware, some of these recipes will let you off the hook with very little cleanup. 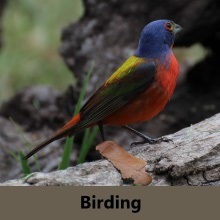 Texas Birding - This section is about our experiences while birding in Texas. It contains a list of bird pictures that can be sorted in a variety of ways. 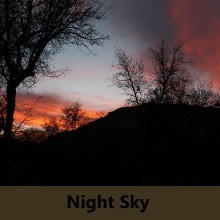 Night Sky - Another great thing about camping and being in the outdoors, away from city lights, is the ability to view many celestial objects that you would not see in the city. This page contains some night sky pictures that I have taken, and some links to some great star gazing sites. 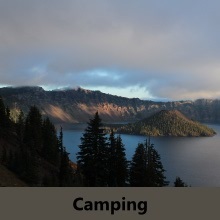 RV Log - This is a sample log that you might create yourself to document your camping trips. I use our RV Log to keep track of the mileage I put on my RV and to determine when I should schedule my next maintenance. Camping FAQ - This page hosts frequently asked questions by people that are new to RV or tent camping. Camping Checklists - You can customize your own camping checklist by choosing either the rv camping checklist or tent camping checklist. All you have to do select the items from the pre-populated list that you want to add to your personal checklist and click the Build Camping List button. 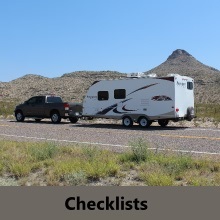 There are also some other checklists available that you might find useful, like leaving camp sites when camping in an RV. There are definitely some special concerns that you don't want to forget before getting underway.